Six performers enter a space. It’s dark. They look exactly like you, and yet there is something unfamiliar in their appearance. They want nothing from you, cause they are lost in oblivion, and yet they want more to feel. A hand comes out of a pocket searching eagerly for a touch. “Ah! Oh! A contemporary Ritual” is the second piece of the series “The marginal Sculptures of Newtopia”. Similar to the previous work “GLAND”, the bodies are entering a utopian landscape. Inspired by the idea of native rites, “Ah! Oh! A contemporary Ritual” is a reflection on the origins and traditions of circle dances. 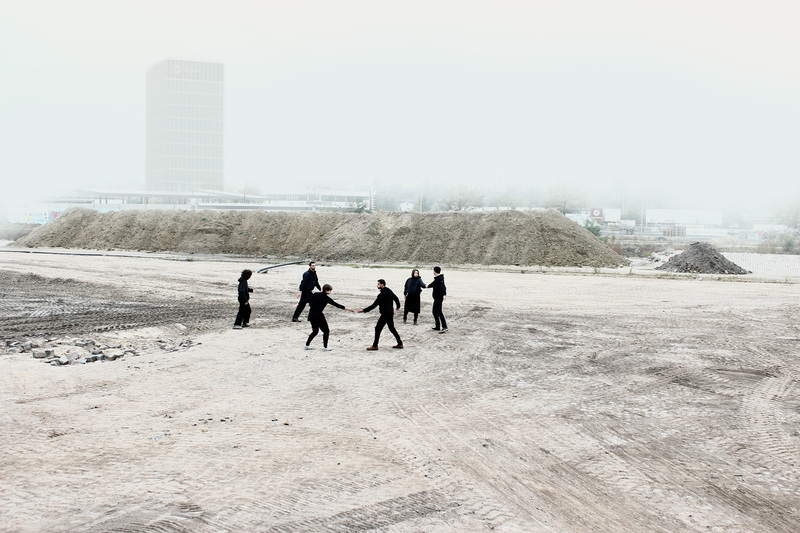 In a post-apocalyptic atmosphere six performers recall the memory of dancing together by holding hands. 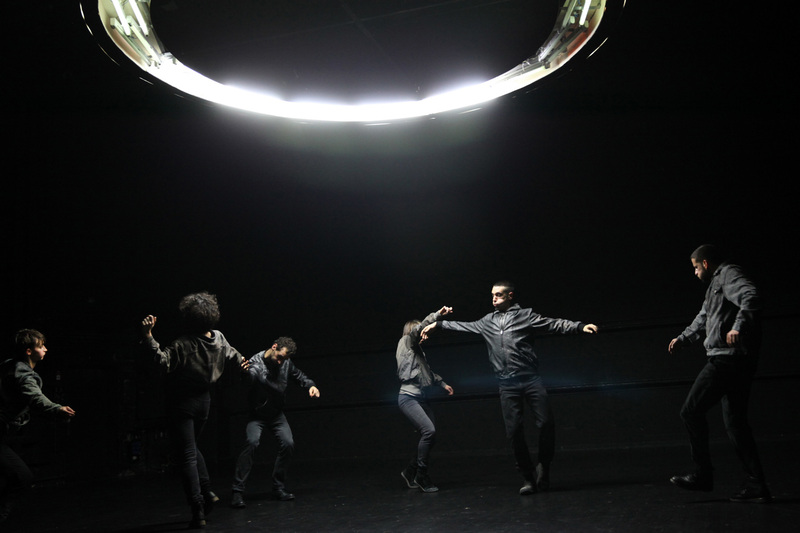 Relating the frowned upon idea of ritualistic circular dances, the choreography reveals fragments of a gesture that shaped our commonality at the annihilation of times.